We met for the first time Ms Nneka last October. She came to St Kizito Clinic with her youngest son, stunted, while she was sick herself with a chronic disease. 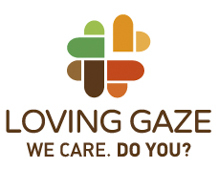 Loving Gaze social and medical teams immediately took up her situation. Since she lost her husband earlier in 2016, she found very difficult to support herself and her 4 children. She could not continue her petty trade, she could not afford their house’s rent and had to move to their grandmother’s place in Lekki. The children stopped schooling and she could hardly afford a meal per day. 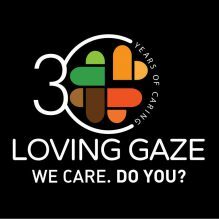 Loving Gaze enrolled her youngest child in St Kizito Clinic Nutrition Centre Program, took care of Nneka health and enrolled the other children in SS. Peter & Paul School. As soon as Nneka regained some strength, she showed a strong will to stand up on her feet again and enrolled the Women Empowerment program, following the vocational training and with the micro-loan provided, she started her small bakery business in Lekki area. We are proud and mesmerised by her strength. Wee are touched by the love and effort she shows every day to take care of her children. Seeing her smiling again is a gift for all of us! All this was possible thanks to all our donors! You make the difference.